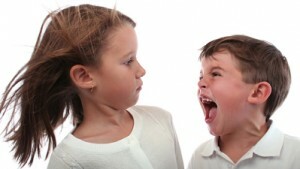 Home » Parenting » Teaching Conflict Resolution: Why Can’t Kids Just Get Along? How do you teach kids conflict resolution? Parenting Expert Dr. Michele Borba offer some parenting tips to help avoid arguing, quarreling, yelling, door slamming, crying and hurt feelings. Arguing. Quarreling. Yelling. Door slamming. Crying. Hurt feelings. Arguments are a big part of why kids can’t get along and how their friendships break up. Of course, conflict is also a part of life. In fact, a national survey found that 43 percent of middle school students said they have conflicts with other kids at least one or more times a day. As parents, one of the most essential friendship quotient builder skills you need to teach your child is how to handle conflicts so he can survive the social jungle. Learning how to deal with all those problems that crop up is a big part of growing up and an essential life skill. The key point is that not only must your child learn how to solve problems, but do so in a peaceful, calm way so that all the kids involved feel like they’ve won. That’s called a win-win scenario and it’s the best way to reduce arguments and restore friendships. 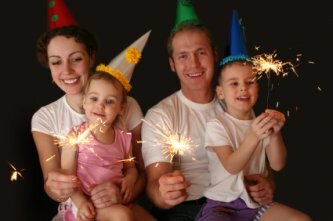 Doing so will not only dramatically boost your child’s friendship quotient, but also improve harmony on the home front. And wouldn’t that be ever be a plus? Stress compromising. The best way for kids to learn how to get along is by watching others. So be the model! Anytime there is a conflict (which game to play, hich TV show to watch, whose house to go visit) between kids, the skill of compromising can be a goldmine. “You choose this time. I choose next time.” “Let’s find a TV show we can both agree on.” “Let’s play Monopoly for 30 minutes then Clue for 30 minutes.” Model it until your kids can pick up on it. Find the real cause. Usually there are deeper issues involved: what’s really triggering these arguments? Is the other child getting more attention, being manipulative or bullying? Does he have more of something? Does anyone feel they are not being listened to or being taken advantage of? Ask friends, teachers, coaches who know your child well. Compare notes and get to the root of the issue then commit yourself to doing one thing you can do to start turning things around. Teach conflict solving. Use the steps below to teach your kids how to Solving Conflicts So Everyone is Satisfied), but don’t expect overnight miracles. Learning any skill takes practice, so look for real life opportunities to practice the skill in then practice over and over. Here are the steps to resolving conflicts. They will take time to learn so just teach one step at a time until your kids have mastered the art of getting along. An important secret to getting along with friends is to learning how to solve a problem together. If you can’t get past the bickering it means no one is listening and no one is satisfied. So here are the steps to solving conflicts that you can teach your child. Stop and cool off. As you as feel an argument is getting nowhere, tune into everyone’s mood. Are your friends’ feelings getting hurt? If you or your friends look or sound tense, then call for a time out. You could take a deep breath, suggest everyone stop to stay calm, get a drink of water, leave a minute and then come back. Only when you and your friend are calm can you talk about what’s bugging you. Set some talking rules. Agree to switch off as talker and listener to hear each other’s side of the problem. No interrupting. No put downs. No name calling, insulting, or blaming. Stay calm. Tell the truth and remain respectful. Remember you both should take a bit of responsibility. Listen carefully. Hear your friend’s point of view. Use I Messages. When you talk say how you feel. Say why you feel that way. Say what you want or need to make things fair. Don’t say “You did this….” Or “you said that….” Your job is to attack the problem and not your friend. Agree on what the problem is. Both of you need to decide what you’re really arguing about. © 2009 Michele Borba from the The Big Book of Parenting Solutions: 101 Answers to Your Everyday Challenges and Wildest Worries; Jossey-Bass, 2009. Follow Michele on twitter @Micheleborba or on her website.